Your wedding party consists of some of the most important people in your lives. Whether they’re family, childhood friends, soon to be in-laws, or college roommates, they’re the people who get you and have always been there for you. So picking out a special gift for your wedding party isn’t always easy. You want something sentimental yet unique, something memorable and useful. So here are a couple unique ideas gift for your wedding party! Jewelry– What girl doesn’t love a little bling?? The best part about giving your girls jewelry is that now they have something matching to all wear during the wedding! Infinity necklace to help your love last forever! Knot earrings to help you tie the knot! Something for the home– Chances are your bridesmaids are starting to move into their own homes or apartments just like you! So why not give them a little decor to help them get settled as well. Something Unique– Want to give your girls an unexpected gift? Here are a couple ideas that your friends have probably never thought of! These Polaroid instant cameras can be found at either Urban Outfitters or Polaroid’s website and make the perfect gift to help your girls capture the night of your wedding and make for a unique gift they’ll continue to use! 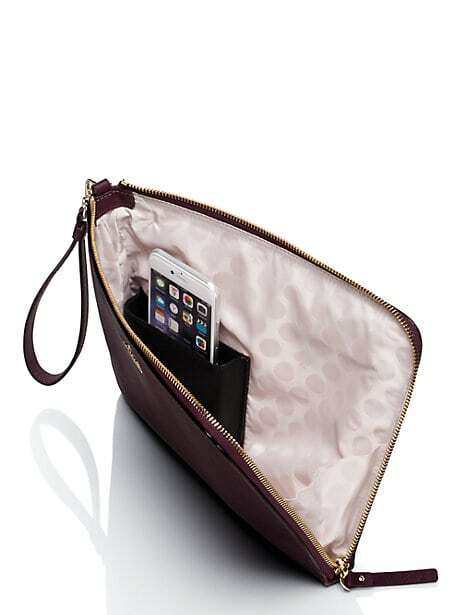 This charming clutch from Kate Spade is not only adorable, but it also charges your phone! Nothing is worse than being at your best friends wedding and not being able to capture a picture of her farewell because your phone died. 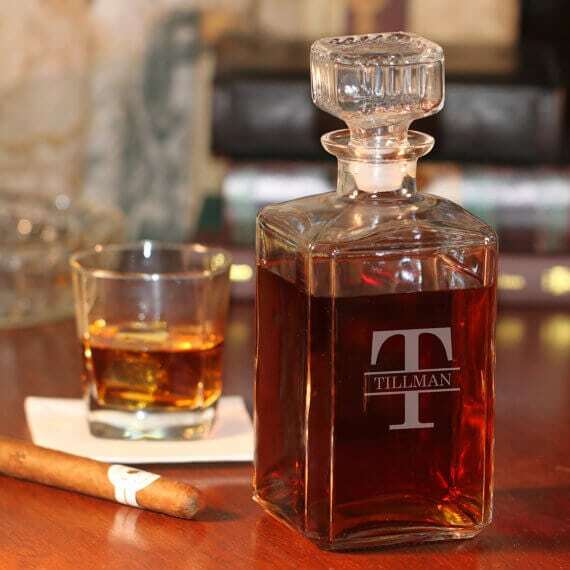 This Whiskey Decanter from Etsy can be personalized to each groomsman’s last name. What man doesn’t love whiskey! These 50 caliber Bottle Breacher bottle openers make the perfect gift for any history loving or military man in your group. The bottle openers are made by Military Veterans and can even be personalized for each groomsman. And if you’ve got a goofy crew of boys, these silly socks from Joy of Socks will make any man laugh and with hundreds of options is a great affordable special gift for your wedding party!